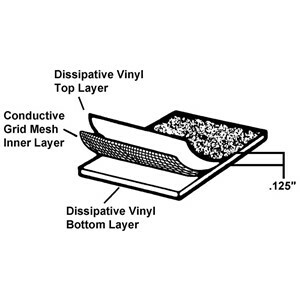 Desco - 42475 Statfree Z2™ Dissipative 3-Layer Vinyl Mat Kit, Grey, 24" x 48"
42475 - Statfree Z2™ Dissipative 3-Layer Vinyl Mat Kit, Grey, 24" x 48"
The dedicated conductive layer reduces the resistance to ground (Rtg) from the top of the surface to the groundable point ground and allows the mats to be used with monitors. Electricals will not drift for the life of the mat. 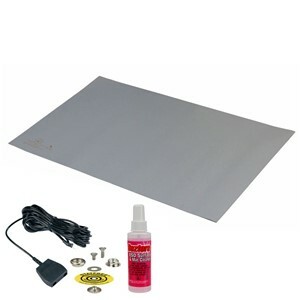 Provides additional energy absorption for components susceptible to physical shock. Identifies ESD protective product for control & auditing purposes.